Wonder Makers Environmental is a family‑owned company, which helps people solve indoor environmental problems in their homes and workplaces. At Wonder Makers, we live our mission. The team at Wonder Makers cares about people and how the environment impacts our lives. By solving indoor environmental problems, we impact people's lives for the better. To this end, our company’s focus has been on improving conditions inside buildings since 1988. Thirty years ago, Wonder Makers revolutionized the collection of samples from suspect asbestos-containing materials in the creation of the Asbestos Bulk Sampling System. Not only was the efficiency of the sample collection improved greatly, but the risk of adverse fiber exposure for the inspector was virtually eliminated. 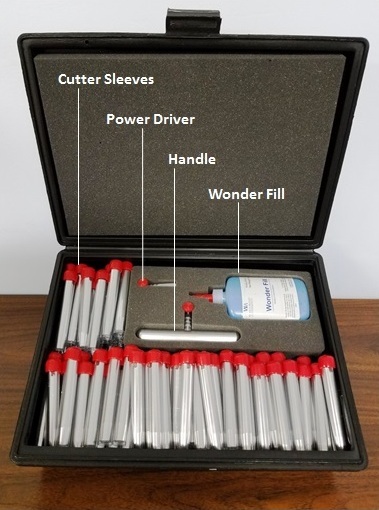 In connection with the celebration of three decades of service to the asbestos abatement industry, Wonder Makers conducted additional tests which again verified that by using their sampling equipment, the results showed the exposure levels well below the OSHA regulatory limits.